My wife and i spent almost a month travelling across Vietnam in September 2012. 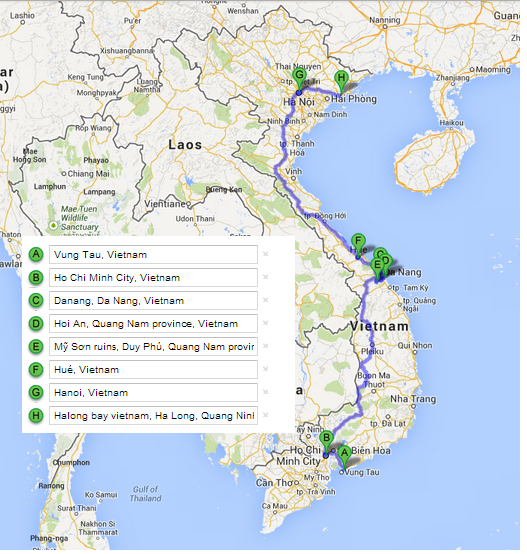 We covered VUNG TAU, HO CHI MINH, DANAG, HOI AN, MY SON, HUE, HANOI and Halong Bay. We were bit afraid of Vietnam after reading many bad storied about touts and scams. I studied extensively about Vietnam before starting our trip. We took some precautions and never had any bad experience. I found Vietnamese people very friendly and cheerful. It was a memorable trip and wish to go back again in future. Our journey started in Vung Tau and ended in Hanoi. I used agoda.com for my hotel bookings and Sincafe for most of the local tour.